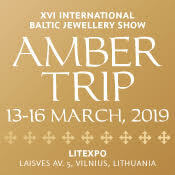 2019 is promising to be a great year for gem shows. Below is is our International and American gem show schedule, including where events take place and organizer contact information. 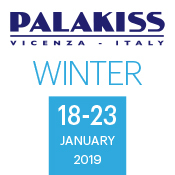 Dates are subject to change on this International Gem Show Schedule, make sure to visit the official website for each show in Tucson and register before the show. Do you know of another show that should be added to our gem show calendar? Contact our team at [email protected] for updates or to add a show to the calendar! View the Tucson Gem Show Schedule. View the International Stone & Building Schedule. 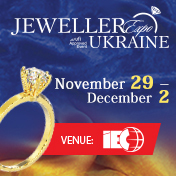 ElitEXPO December 7 – 9, 2018 Ukraine Palace of Arts, Lviv Gal-Expo Jewellery. Precious and semi-precious stones. Jewellery technologies, equipment and tools. Watches. Costume jewellery and accessories. Antiques. Private artistic items.Luxurious souvenirs and presents. GJIIE Gem & Jewellery India International Exhibition March 8 – 10, 2019 India Chennai Trade Centre The Madras Jewellers & Diamond Merchants Association, UBM India Pvt. Ltd. Fine jewellery, jewellery products, gemstones (loose stones, loose pearls, other gemstones), jewellery related products and services. Surabaya International Jewellery Fair April 4 – 7, 2019 Indonesia Shangri-La Hotel, Surabaya Jaya Events Diamonds, gold, silver, pearls, precious, and semi-precious stones. Jakarta Jewellery Fair April 4 – 7, 2019 Indonesia Jakarta Convention Center Jaya Events Diamonds, gold, silver, pearls, precious, and semi-precious stones. Beijing International Jewelry Show April 2019* Beijing, China China International Exhibition Centre Neway International Trade Fairs Ltd.
Hangzhou International Jewellery Fair April 2019* Hangzhou, China Peace International Conference & Exhibition Centre Neway International Trade Fairs Ltd.
TianJin International Jewellery Fair April 2019* TianJin, China‎ MeiJiang Convention & Exhibition Centre Neway International Trade Fairs Ltd. Jewelry Shanghai May 2018* Shanghai, China Shanghai World Expo Exhibition & Convention Centre Neway International Trade Fairs Ltd.
China International Jewellery Fair (Summer) July 2018* Beijing, China China International Exhibition Centre Neway International Trade Fairs Ltd. Facets Sri Lanka August 29 – September 1, 2019 Sri Lanka Sirimavo Bandaranaike Memorial Exhibition Centre, Colombo Sri Lanka Gem & Jewellery Association Gem and jewellery products. Shanghai Jewelry & Gem Fair August 2019* Shanghai, China Shanghai New International Expo Centre Neway International Trade Fairs Ltd.
Delhi Jewellery & Gem Fair Sept 28 – 30, 2019 India Pragati Maidan, New Delhi UBM India Pvt Ltd Antique jewellery, diamond jewellery, gemset jewellery, gold jewellery, silver jewellery, diamonds, precious stones and semi-precious stones, software and allied products, packing and display. 971Beijing International Jewelry Fair September 2019* Beijing, China Venue China International Exhibition Centre Neway International Trade Fairs Ltd.
Shenzhen International Jewellery Fair September 2019* Shenzhen, China Shenzhen Convention & Exhibition Centre Neway International Trade Fairs Ltd.
MIJ – Malaysia International Jewellery Festival October 2019* Malaysia – Kuala Lumpur MIJ Exhibition Sdn Bhd KLCC – Kuala Lumpur Convention Centre Gems, jewellery, diamonds, pearls, stones, gold, platium, silver, timespieces, machines and tools for jewellery production, electronic balances, cutting machines and tools, sales and display materials, checking and measuring instruments, security system and equipment, machines and tools for watch and clock production, packaging. 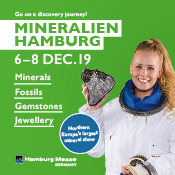 Gemworld Munich October 25 – 27, 2019 Germany Munich Trade Fair Center, Munich Munchner Mineralientage Fachmesse GmbH First-class raw material, refined coloured precious stones, cut stones, design and individual jewellery as well as accessories. 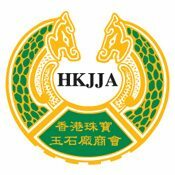 Shanghai World Jewelry Expo October 2019* Mainland China – Shanghai Shanghai World Expo Exhibition & Convention Center, Shanghai Broadway Exhibition Service Gemstone, Pearls, Finished Jewellery, Watches & Clocks, Manufacturing Equipment & Accessories. 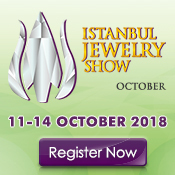 Shanghai World Jewelry Expo October 2019* Shanghai, China Shanghai World Expo Exhibition & Convention Centre Neway International Trade Fairs Ltd.
China International Jewellery Fair November 2019* China China International Exhibition Centre Neway International Trade Fairs Ltd.
November 2019* Yunnan, China Kunming International Convention and Exhibition Center Neway International Trade Fairs Ltd.
Mango International Gem Show November 2019* Hunan, China Hunan International Conference & Exhibition Center Neway International Trade Fairs Ltd.
* These shows have not announced their 2019 dates yet, and these months are guesses based on their past 2018 show dates. 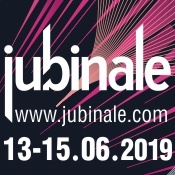 Check the show’s website to see if there has been any updates on the dates of the show.